On 3 July 2009, Friday, a girl child was born to my cousin Narayanan Subramanian alias Ajith Chandran or Kuttan - and Pratibha bringing delight to all family. The child was born in Vishakam star and is the second grand child to my paternal Uncle Subramaniam who has both his grand children as grand daughters. Pratibha's Seemantham took place at Ernakulam on 10th May 2009. 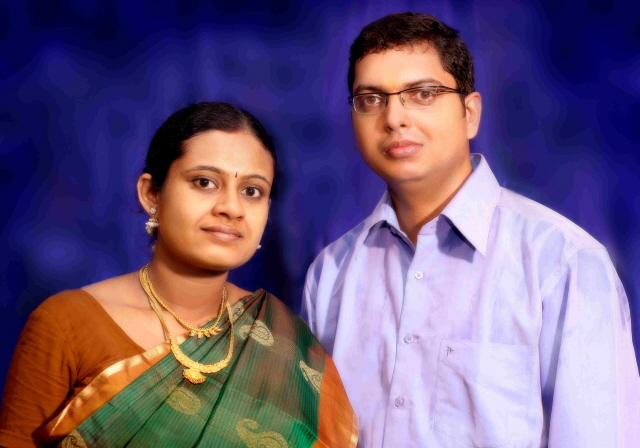 My paternal Uncle Subramaniam and aunt Meenakshi became grand parents for the first time when their first grand daughter Meenakshi was born to their eldest son Sreekrishnan Subramanian, and now the second grand daughter is born to their youngest son Narayanan Subramanian. We share the family joy.